On Oak Street in Greenpoint near West Street overlooking a large lot and buildings which are part of the Greenpoint Terminal Market. 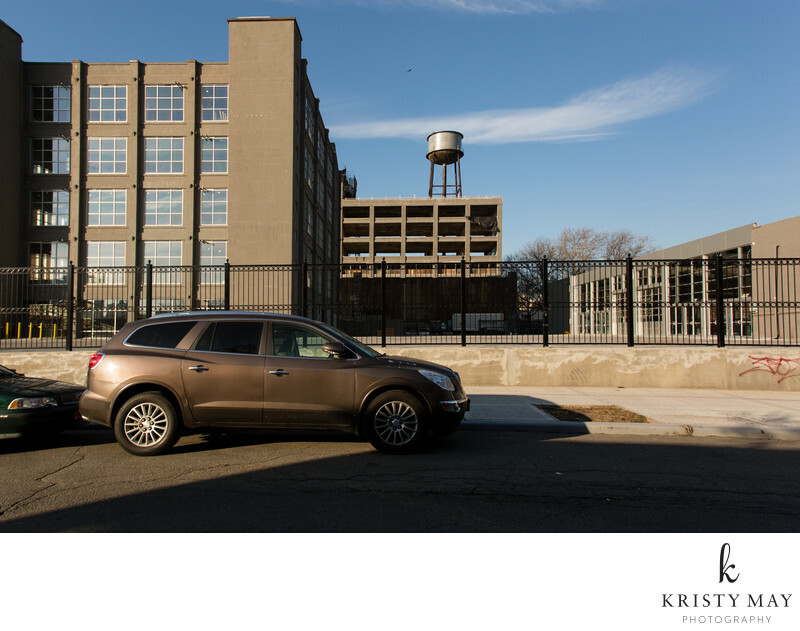 A car is parked on the street and a water tower looms in the background. After years sitting empty, 42 West Street its adjacent lot are renovated and about to open to the public. Location: 42 West Street, Brooklyn, NY 11222.